This new school was opened in 2011 on a greenfields site in Kilmore, Victoria. 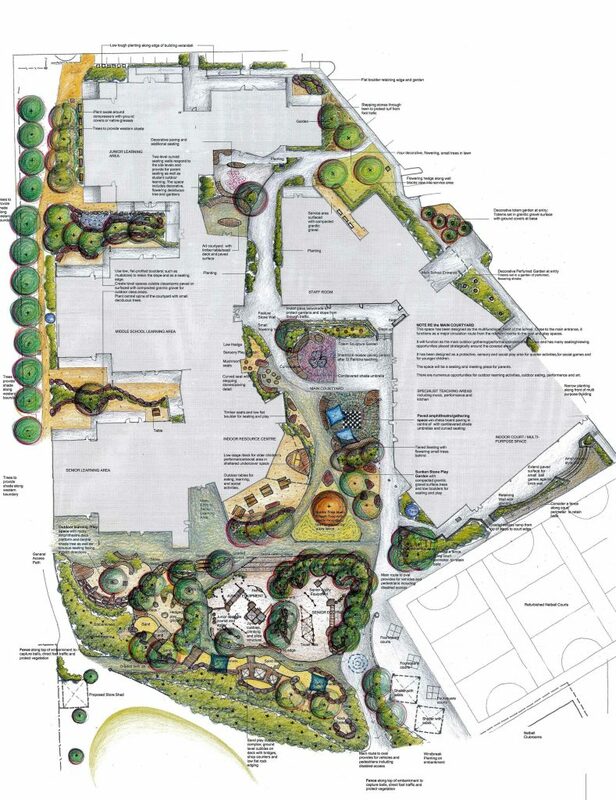 Jeavons Landscape Architects were commissioned to prepare an overall school landscape master plan that would guide the development of the grounds and play areas over time as funds become available. The award winning landscape master plan aimed to make optimal use of the spaces around buildings and the complex site levels. Aside from major circulation routes, the design provides distinct, wheelchair accessible spaces for performances and celebrations, gathering and seating, a range of different play activities, teaching and learning, physical education and sport. Jeavons Landscape Architects subsequently developed more detailed designs for the planting across the school, and for the play areas. The design ensures that the school has a high quality, accessible and inclusive setting for outdoor play, accommodating sand and nature based play, agility and physical movement, and imaginative/creative play in an attractive, shaded environment.